Reality with Fantasy thrown in. This book is at the top of my favorites list right now. It is one of those books that is categorized as Young Adult simply because the characters are young, but I am certainly not a young adult and I absolutely adore this story. Set in our modern real world with a few critical fantasy tweaks thrown in that bring this story world to vibrant life. Each and every single one of the characters is so well written you feel that they could very well exist. Fantastic New Young Adult Series!!! If you took the magic of the Harry Potter series and mixed it with the hazardous fighting of the Dresden Files, and with the romance of the Twilight saga, and then shook them all up in a snow globe together. 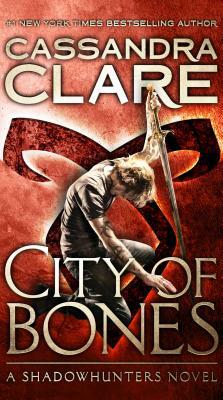 Then you would get the fabulous blend of Cassandra Clare?s The Mortal Instruments. The Harry Potter series (HP) has muggles, and The Mortal Instruments (MI) have mundanes or mundies. The Shadowhunters are nephilim. They have both the blood of human and the Angel Raziel. Their bodies are covered in black Marks, angelic runes that aid them in their battles and healing. And their job is to keep the mundane?s world safe from demons and other Downworlders, (such as werewolves/the Moon?s Children, the fey/faeries or fallen angels, warlocks, and the Night Children/vampires, just to name a few.) The Shadowhunters are similar in character to the Knights Michael, Sanya the big Russian, and Shiro in the Dresden Files. Clary is courageously discovering her Sight. With her best friend Simon, they team up with the Shadowhunters in their fight against Valentine. Valentine was thought to be dead, after creating the Circle of Raziel, to make a purer world, (reminds me of the similarities between true bloods and mud bloods.) He?s in search of the Mortal Cup, ultimately purifying the world of demons. The Institute, with it?s Persian cat Church, (like in the S. K. book Pet Semetary,) will take Clary on a journey of discovery to the City of Bones were the Silent Brothers, (creepy archivist who do not speak, have mutilated their bodies, and posses powers of the mind,) will help her to regain her memory, find a lost treasure, and learn some of the hard lessons of love. Warning: There is harsh language in this book, but guess what, the characters are teenagers and warriors, and it does not distract from the story. It actually helps to find them more believably human, ordinary, mundane.